A lot of conversion optimization advice targets onsite conversions: ensuring that every aspect of your website is working to lead visitors to take action. But if you’re only focusing on what happens on your website, you’re missing a trick, because there’s lots going on offsite that has an effect on conversions. Research from Shareaholic shows that social media now accounts for more than 31% of referral traffic to sites; Facebook is responsible for a quarter of that. Even Slideshare, which isn’t a social network as such, has proved to be a major referral source for many sites. The point is that if you want to improve onsite conversions, you also need to look after your offsite presence and that means optimizing your presence on social media sites and other major referral sources. Each of those offers referral opportunities. Here’s how you can use these on different social media sites. When you create your Slideshare account, you have the option to set up an account for your business or to set up a personal account and choose from several account types, including “company”, “marketing agency” and “non-profit”. 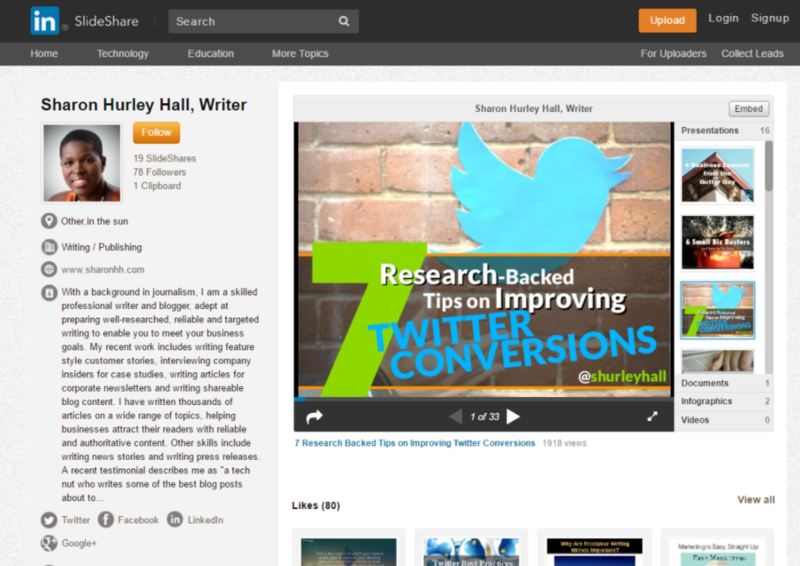 (The Slideshare help files give no indication which route is better). 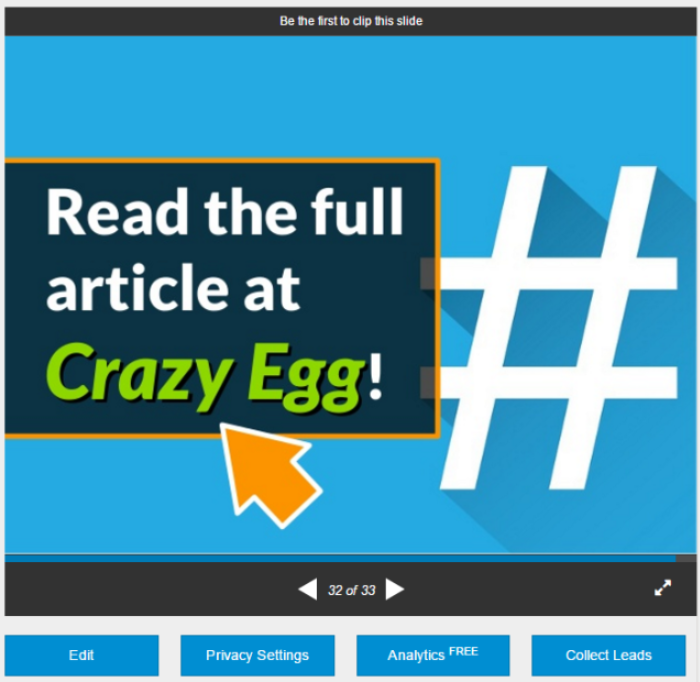 Whichever you choose, your Slideshare account offers several features that can bring people to your website. One of the main ones is the profile. Like most social sites you can add a photo, a location, an industry and a website. With 700 characters, the “about” field leaves more than enough space for a compelling description of your business and an appealing call to action. You can back this up with a link to your website or landing page. People only find this information if they click through to your profile, which is why it’s essential to optimize the presentations themselves. Your first step is to choose a topic that’s related to your business so that it fits well with what customers expect from you. As Social Media Examiner points out, sharing industry knowledge with links to white papers and reports can help draw people back to your site. And, like blog posts, how-to guides and lists also do well and offer the option to attract readers back to your site for more depth. The headline and following best practices for headline optimization. The description, to help people learn more about your presentation. The visuals – compelling images make people look and click. The text – less is more but each slide must tell a story. 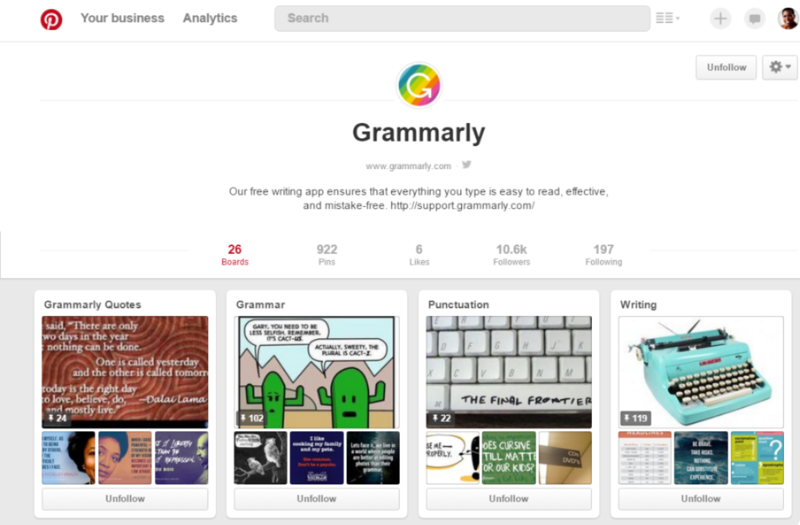 The category and tags – if possible, choose at least one from the most popular list. People use these to find you. 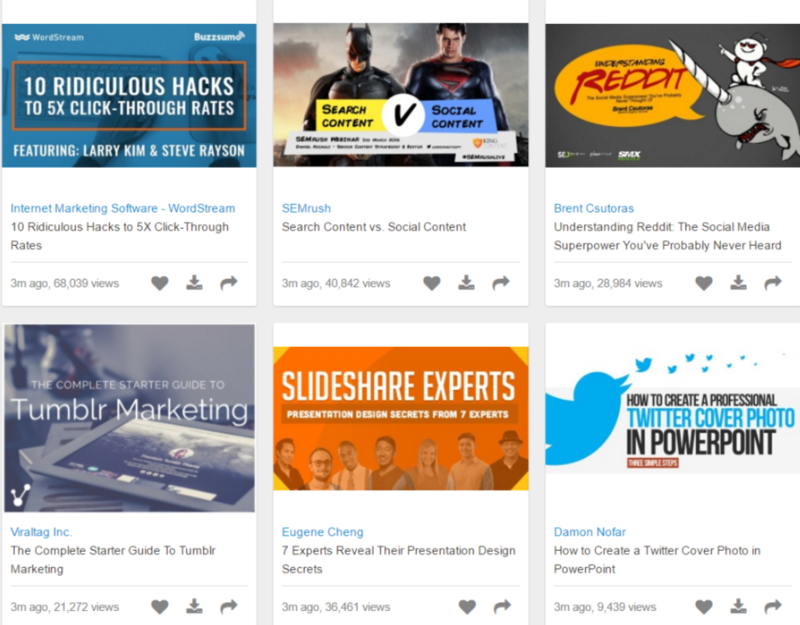 For inspiration and best practice, check out Slideshare’s editor’s picks and the best presentations from 2015. To get more conversions from presentations, you can include a lead capture form to encourage people to get in touch with you, as well as clickable calls to action to bring people to your site. 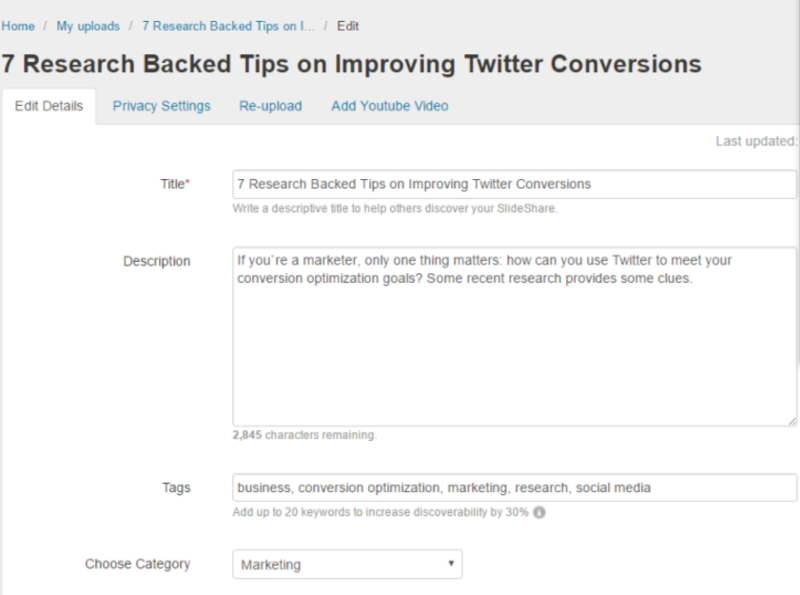 Slideshare has analytics for lead generation campaigns so you can easily figure out what’s working. Finally, be sure to enable notifications for comments in your profile settings. This will ensure that you engage quickly with anyone who responds to a slide – another way to win friends among your audience. 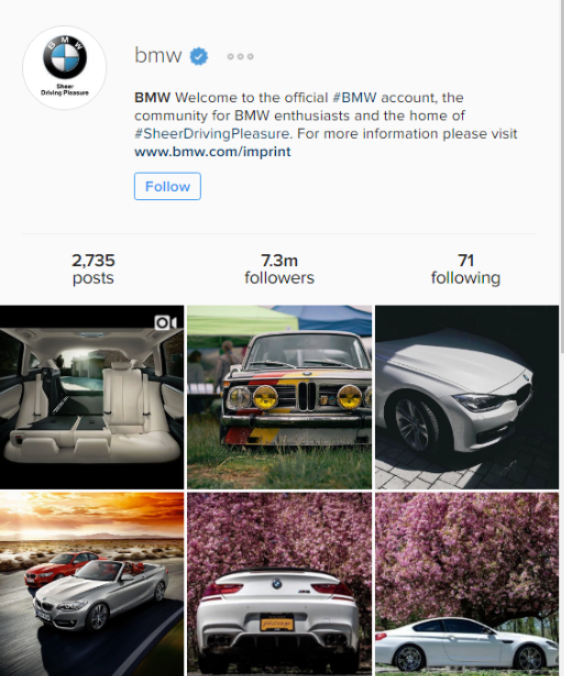 I’m a relatively new Instagrammer, but I’m loving the marketing power it wields. 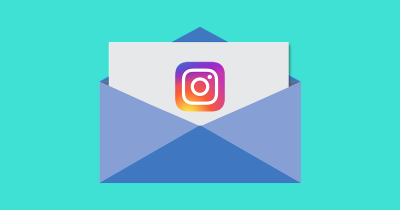 Most companies seem to use the same username across social sites for brand recognition, so it’s a good idea to do this on your Instagram account. On mine, I have the same handle I use on Twitter. You can also include a short bio (150 characters) and can make this more attractive by spacing it out and by adding emojis. You can even include hashtags. Learn more about business bios on Instagram from Sprout Social. 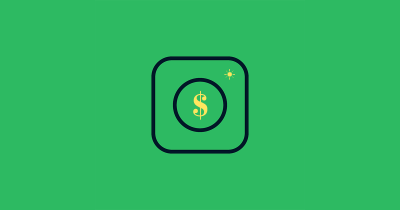 You can also include a website address, which can send people to the landing page for your current offer, a dedicated landing page for Instagram traffic or to other content that’s likely to appeal to the same audience. There are several examples of these approaches in this article from Pubcon. When you have a new campaign, it’s simple to change your link. One tip from Appamatix is to include your website link in the location field of each image. This allows you to have a clickable link with each photo (don’t overdo it). Alternatively, you can simply add a visible call to action to your photo as in the examples here. As an image-centric site, the better your images look and the more appropriate the hashtags you use, the more interaction you will get. 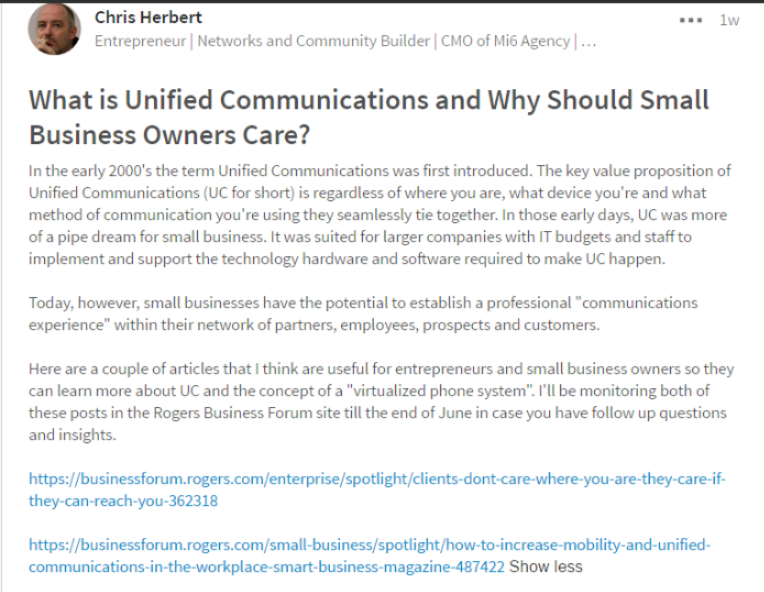 One way to get more interaction is to include a call-to-action in the image description when you upload. 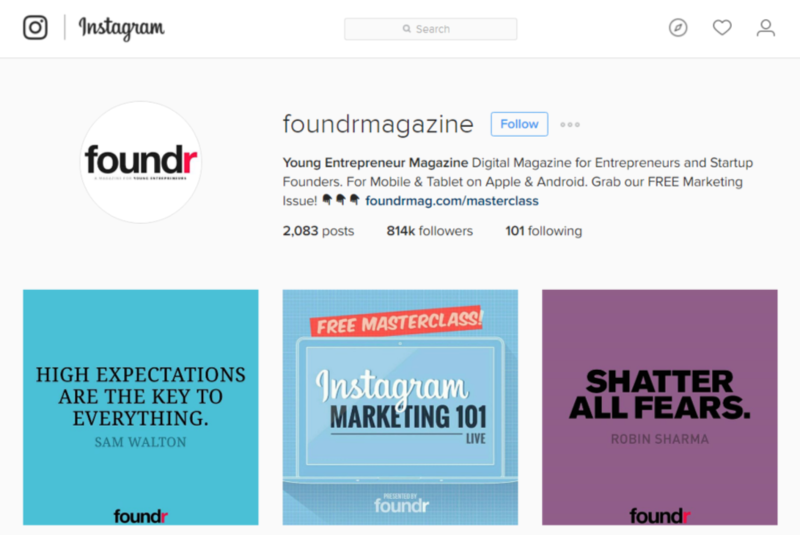 Foundr asks its followers to double tap if they like or agree with a post, which has resulted hundreds of thousands of followers and engagement off-site starting on a customized landing page. I’m not in Snapchat’s target demographic. Most of its 100 million-plus users are between 16 and 24, though the number of over-25 users is rising steadily. However, I’ve learned a few things by experimentation and observation (it helps to have a teenager in the house). On Snapchat, there’s not a lot to optimize. Instead, you have to tell great stories with images, videos, GIFs and emojis and have conversations with your followers. Around 65% of Snapchat users upload photos, so using images with overlays is one option for getting people back to your landing page. Being there is a good way to increase your brand’s presence among the teen demographic and to show your brand’s personality. If my teen is anything to go by, a light-hearted, fun approach will send them to your site and other social media outposts to check you out. Since everything you post on Pinterest can link back to a site or landing page, Pinterest content is built for conversions. To get the most from Pinterest, you need to get more people to see and repin your pins. That means choosing attractive images optimized for Pinterest and using hashtags to help people find them more easily. As with other sites, you can include a call to action on the image itself. When you pin an image, instead of going with the default pin title and description, edit them. You can edit the title at the time of pinning, then go to the pin and change the description. If it seems appropriate, include a call to action. Responding to comments on your pins. 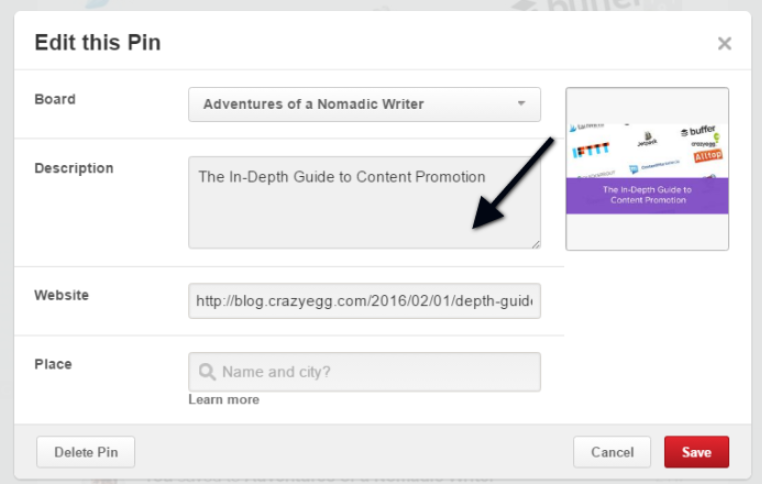 Using rich pins to provide more context to the pins you post. Posting content at the right time . Understanding how the psychology of pinning works with your marketing. Using analytics to figure out which colors, images and boards most appeal to your audience. With 97 million monthly active users, LinkedIn is a site you can’t ignore. 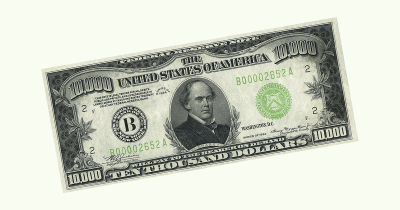 It has more features than ever that allow you to use it effectively to boost conversions. 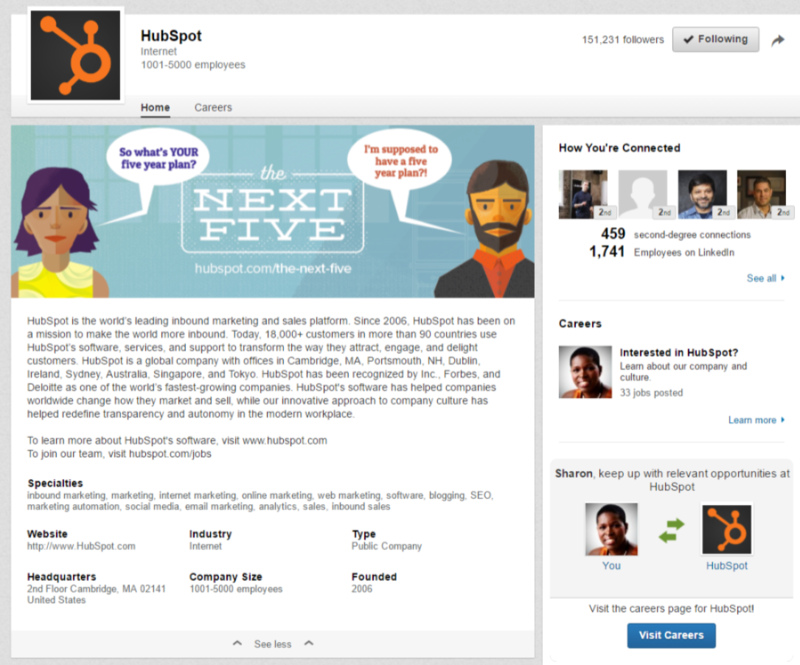 Companies can connect with their audience via LinkedIn company pages and showcase pages. Company pages are similar to business pages on other social media sites, while showcase pages allow companies to focus on particular products or services with a dedicated LinkedIn page. To make the most of your company page add your logo and use a branded cover image that harmonizes with the rest of your social media presence. You can also change this when necessary to promote specific events or achievements. Write a great company description, making sure to include any keyword phrases. Include your website URL. Again, you can change this to link to special offers or events. Add keyword phrases to the “specialties” section too. Highlight the groups your company runs or participates in. Share links to generate double the engagement. These tips also work for showcase pages. It’s also important to optimize your personal LinkedIn profile, which you will use when participating in LinkedIn groups. To do this, include a professional image and a headline. The research shows that, after the image, this is the part people look at most, so it pays to get it right. There’s also the option to link to multiple websites or landing pages from your profile with a call to action, as the screenshot shows. You can also include a call to action in your summary to give people interested in your profile a clear action they can take next. As with all social sites, adding content to your updates and giving people related resources to follow will help your LinkedIn profile convert better. The example below from the Connected Business Centre group is a good example of how to do this well. Since you can also publish content on LinkedIn, you have similar optimization options as when publishing a post elsewhere. Making sure the post has an appealing headline, is optimized for search and has a call-to-action – or several – within the content will help you get more from this platform, which is proven to boost conversions. If you’re still active on Google+, then here are your options for optimizing your presence there. 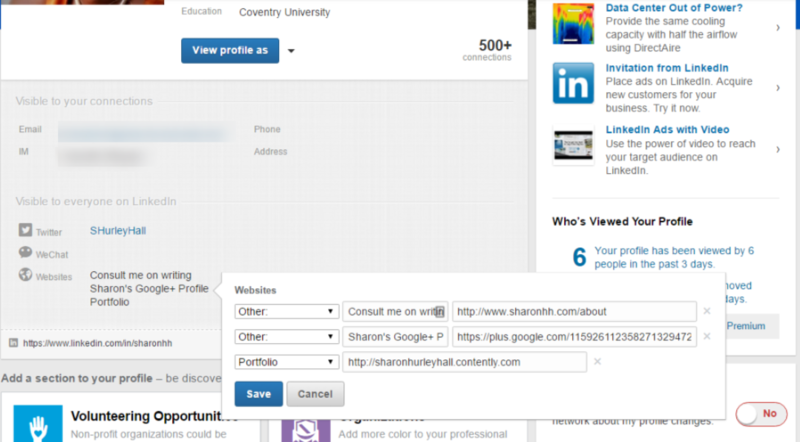 Start with your profile which has plenty of space for extended descriptions with active links. You can also include links to as many sites and landing pages as you care to add. Maybe there’s a limit, but I certainly haven’t found it yet and I’ve linked to around 40 places where I write. Your cover image is another place to include a call to action which is visible even if it isn’t clickable. The Social Media Hat has used his cover image to put the name of his site prominently in visitors’ view. Google+ also allows you to get more attention by uploading videos and creating photo albums and, of course, by sharing content. Like most social sites, images and videos are popular, and adding context to the content you share is likely to spark discussion. You can also get more attention by participating in Google+ communities. And with all the linking opportunities, you can use your Google+ profile to make sure your audience can find you on all the other sites where you have a presence. 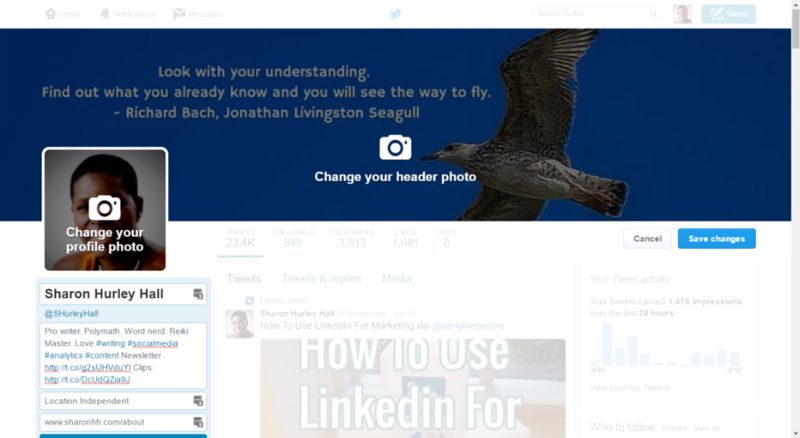 Like other social networks, Twitter offers a number of ways to gain conversions. You can use some of the same approaches to cover images as for Google+ and Facebook, and can also include links to landing pages in both your bio and the website field. While images are popular on Twitter, text content is even more popular, and 92% of Twitter interaction consists of people clicking on links. That leaves room (in 140 characters or less) to write creative tweets to encourage people to visit your site or landing page. To get more from this, choose your language clearly: the research shows that asking for retweets and using actionable words is super-effective. Use appropriate hashtags in your tweets for even more visibility. Twitter says you can get more from the site by optimizing the content you share for the different types of Twitter cards. I use Yoast SEO to do this on my site. With more than a billion users, Facebook is one site you must optimize because the chances are that the people you’re trying to reach are using it. Optimization on Facebook starts with the cover photo. 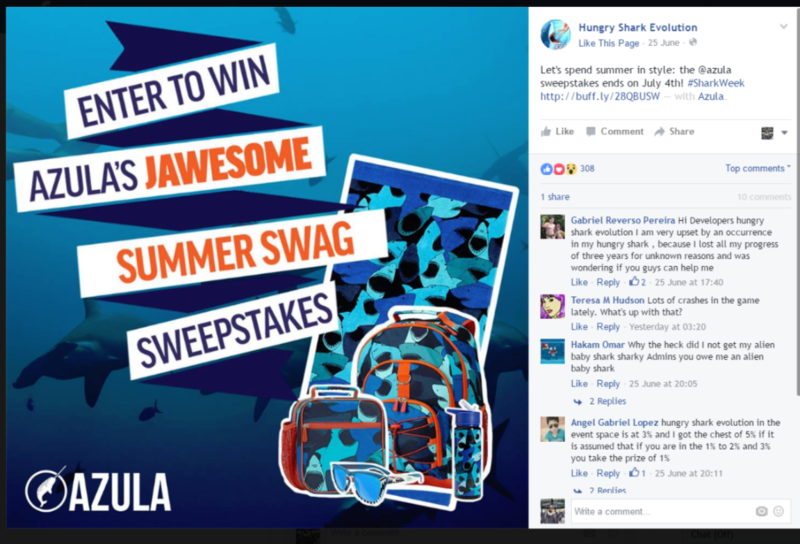 While Facebook has rules about how much text can be on the photo (20% or less of the overall area), that text can include a call to action. You can also update your cover photo regularly when you have specific offers or promotion or to keep your branding consistent across social media. 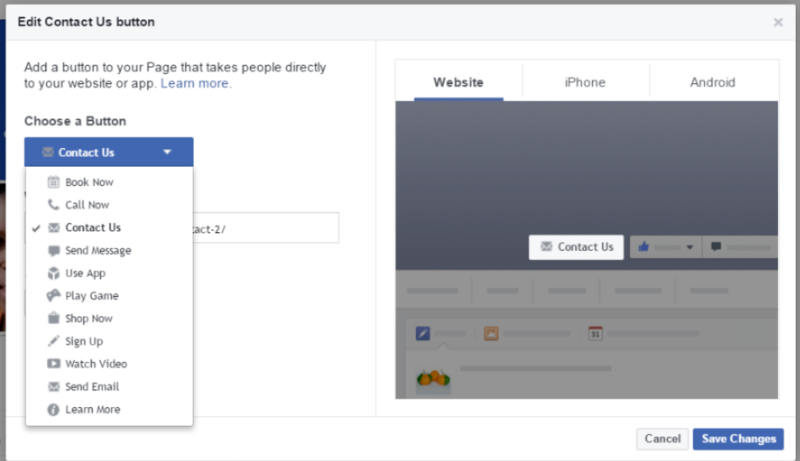 Facebook pages also have an editable call to action button, providing another way for people to connect with you. And, of course, you can attract more visitors by sharing the content that’s most popular on Facebook – images and videos – and including a call to action in the text of your update or in the image itself. Other places to connect with visitors are via your “about” information and website link, which you can change to a specific page if you wish. Finally, sharing page updates on your personal profile and in groups will help them reach a wider audience and send more people to your site. The main social media sites all include some form of advertising. You can use this to promote your profile or account as well as to promote specific social media updates. Since advertising usually has a big impact on reach, you are likely to get even greater results from your optimized social profiles. It’s also worth knowing that since 55% of B2B buyers use social media to research companies they want to do business with, it’s important to tailor your updates on each site so they appeal to potential buyers. Salesforce suggests using psychology to address pain points and benefits and using social media to establish a tribe that you interact with regularly and who will help to spread your message. Using the tips above, you can easily integrate social media into your sales funnel for a more effective off-site presence. How are you using social media to increase conversions?